Wat is dit voor site? Wij zoeken de goedkoopste boeken op internet. America's Great Hiking Trailsvonden we het goedkoopst op Bol.com voor €40.01. We hebben gezocht in nieuwe en tweedehands boeken. Rechtsonderaan de pagina kan je het boek direct bestellen	via Bol	.com. A hiker's dream bucket list is embodied in this lavishly illustrated celebration of more than 50,000 miles of America's most iconic trails. 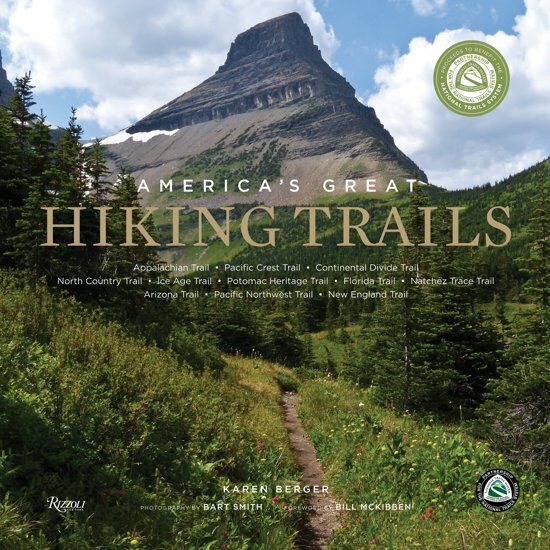 Celebrating the forty most important trails in America, this volume takes the reader through forty-nine states and eight national parks. Literally tens of millions of tourists and hikers visit these trails each year, some of which wind through the country's most scenic natural wonders and virtually every major ecosystem in America. Each featured trail has its own section, complete with a map and photo gallery, and the reader explores what makes it one of the most magnificent hiking experiences anywhere in the world. Trail histories accompany detailed hiker-friendly descriptions that highlight the most scenic spots, with suggestions for shorter weekend and day hikes. The stunning photographs take the reader on a visual adventure conducted by Bart Smith, the first person to hike all eleven National Scenic Trails from end to end. America's Great Hiking Trails is perfect for anyone interested in outdoor recreation and conservation.